The following documents have been recently added or updated on the website. Underguard Tray Liners IFU was updated in SterilizationProducts - PaperTrayLiners on 2019-04-18 14:52:21. Disposable Jumpsuit with Hood and Shoe Cover IFU was updated in InstrumentRetrieval - PPE on 2019-04-16 14:26:56. Disposable Jumpsuit with Hood and Shoe Cover IFU was added in InstrumentRetrieval - PPE on 2019-04-16 14:23:34. 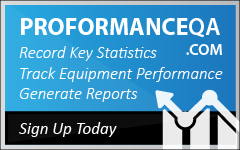 Recent Changes for ProFormance QA was updated in CleaningVerification - ProFormanceQA on 2019-04-05 10:54:15. ProFormance QA Customer User Manual was updated in CleaningVerification - ProFormanceQA on 2019-04-05 10:53:35. Recent changes for ProFormance QA was updated in CleaningVerification - ProFormanceQA on 2019-04-05 10:53:12. Pouch Seal Integrity Test IFU was updated in SterilizationProducts - HeatSealers on 2019-04-04 16:24:17. ITB Brush Chart was added in InstrumentCare - Brushes on 2019-04-04 08:57:46. Protech Instrument Trays Products Price List 04-01-19 was updated in Price List - InstrumentTrays on 2019-04-03 13:32:13. 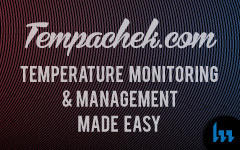 Temp-90-170 IFU 2019-04-02 was updated in CleaningVerification - TempaChek on 2019-04-02 15:10:11. Cart Wash Check IFU 2019-04-02 was updated in CleaningVerification - CartWashCheck on 2019-04-02 15:08:55. Pouch Seal Integrity Test Log Sheet was added in SterilizationProducts - HeatSealers on 2019-04-02 13:55:00. Set Up Critical Path was added in CleaningVerification - ProFormanceQA on 2019-03-29 10:38:04. ANSI/AAMI ST90: 2017 Processing of health care products-Quality management systems for processing in heatlh care facilities was added in CleaningVerification - TOSI on 2019-03-27 13:48:50. ANSI/AAMI ST90: 2017 Processing of health care products-Quality management systems for processing in health care facilities was added in CleaningVerification - ProFormanceQA on 2019-03-27 13:47:13. ANSI/AAMI ST90: 2017 Processing of health care products-Quality management systems for processing in health care facilities was added in CleaningVerification - TempaChek on 2019-03-27 13:46:00. ANSI/AAMI ST90: 2017 Processing of health care products-Quality management systems for processing in health care facilities was added in CleaningVerification - HemoCheck on 2019-03-27 13:44:23. ANSI/AAMI ST90: 2017 Processing health care products-Quality management systems for processing in health care facilities was added in CleaningVerification - CartWashCheck on 2019-03-27 13:42:33. ANSI/AAMI ST90: 2017 Processing of health care products-Quality management systems for processing in health care facilities was added in Labels - Documents on 2019-03-27 13:41:03. ANSI/AAMI ST90: 2017 Processing of health care products-Quality management systems for processing in health care facilities was added in SterilizationProducts - Pouches/SelfSeal on 2019-03-27 13:39:35. ANSI/AAMI ST90: 2017 Processing of health care proucts-Quality management systems for processing in health care facilities was added in SterilizationProducts - Pouches/HeatSeal on 2019-03-27 13:38:25. ANSI/AAMI ST90: 2017 Processing of health care products-Quality management systems for processing in health care facilities was added in SterilizationProducts - SterilityAssurance/ChemicalIndicators on 2019-03-27 13:35:02. ANSI/AAMI ST90: 2017 Processing of health care products-Quality management systems for processing in health care facilities was added in InstrumentCare - OpticalInspection on 2019-03-27 13:32:04. ANSI/AAMI ST90: 2017 Processing of health care proucts-Quality management systems for processing in health care facilities was added in InstrumentCare - Brushes on 2019-03-27 13:30:31. ANSI/AAMI ST90: 2017 Processing of health care products-Quality management systems for processing in health care facilities was added in InstrumentRetrieval - PPE on 2019-03-27 13:27:16.